April 21, 2015 by Rev. Timothy L. Seals, Ph.D. The film Selma is a poignant portrayal of the machinations behind the passage of the Voters’ Rights Act of 1965. To bring about this landmark legislation, lives were lost and reputations soiled. There was every indication that Dr. Martin Luther King should not have pushed President Johnson on federal legislation that would alter the political culture of the South. First and foremost, King had no support from Johnson. Secondly, a putative march through rural Alabama to pressure the political establishment was a grave risk in view of the inflammatory speech of George Wallace, governor of the state of Alabama. And finally, King’s family tugged at his heartstrings: he was exposing them to terror and death. At the conclusion of his iconic I Have a Dream speech in Washington in 1963, King was arguably the most admired man in America. In 1964 he was awarded The Nobel Peace Prize and thereby received international acclaim for himself and the movement of which he was the titular head. After those two great honors, King could have rested on his laurels. He could have parlayed his reputation into a pastorate of a college town where he could have taught occasionally and published books. Yet, there was another destiny driving him, an inexorable destiny from which he could not deviate. That destiny drove King to make the great confession to America from the steps of the Alabama State Capitol. 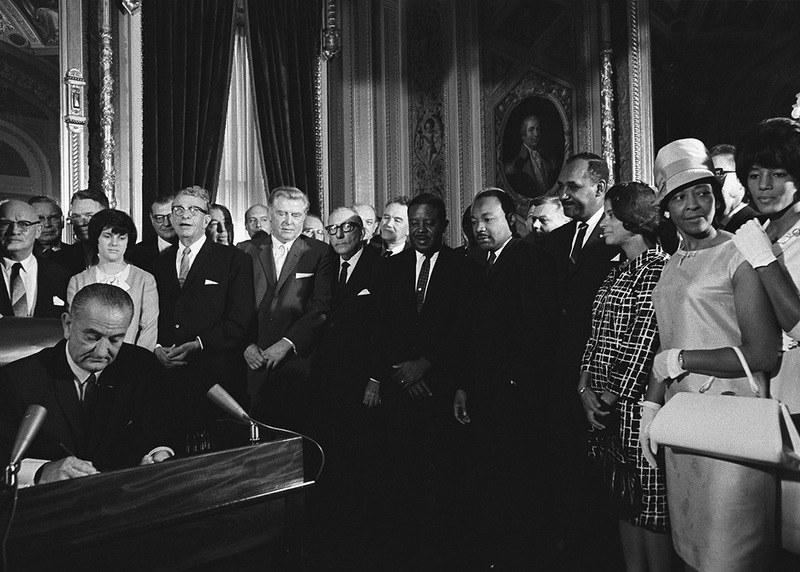 He had to put the Voting Rights Act in the larger American context. That larger American context was the abuse of power. Powerful monied interests in the South foisted a wedge between blacks and whites. Monied interests promoted competition between the two groups to keep wages low. King proclaimed that it was monied interests that destroyed the Populist Movement after the Civil War, a movement that held up the hope for a better life for blacks and poor whites. According to King, monied interests took the world from black folks and gave them Jesus. They took the world from poor white folks and gave them Jim Crow laws that made them feel good about being white, though they were as poor as church mice. King called on religious leaders from around the country to come to Selma to march and expose this abuse of power, which was foundational to slavery and crippling racism since the Reconstruction. How else does one explain that only 7% of whites owned slaves in the South; and, yet, this 7% had a strangle hold on the federal government since its founding. Powerful monied interests created a caste system in the South that endured into the 1960’s. They gave whites a convenient scapegoat for their bad feelings about their economic misery. King’s Selma speech was one that he had to make. The calling on his life conspired to put him in that place and time to call out the economic interest at the root of racism and discrimination. King’s Selma speech is arguably his greatest speech because of its hard-hitting social and economic commentary on America. It was a speech that King had to give; it was a confession that he had to make. Selma is a metaphor for something that you are compelled to do. Your calling in life has placed you on a trajectory from which you cannot deviate. You feel compelled to act, to speak, to respond. You know that if you do not grab hold of your Selma moment, you will be less a person; you will have missed out on real transformation. St. Peter had a Selma moment. His Selma moment was to make a confession like King. Peter was inspired to reveal the real identity of Christ, that he was not merely a man, a prophet, or a rabbi, but the Son of God. In the text under consideration (Mark 8:27-35), Jesus and his disciples were walking in the region of Caesarea Philippi. No mention of a name in the Bible is ever superfluous. Every city name associated with the ministry of Jesus has meaning. It is profoundly significant where Peter is compelled by the Spirit to make the great confession of Jesus’ identity. Just as Selma was the right place and the right time for Dr. Martin Luther King to make his confession, making it in the heartland of racial bigotry and hatred, so Peter’s confession of Jesus as the Son of God is in the headquarters of Roman power in Palestine. In making that statement, Peter is risking his life. It was a capital crime punishable by death to claim that someone other than Herod the Great or one of his heirs was the Messiah. To name someone else as the Messiah was to create disorder. Romans abhorred disorder. Later Jesus would be charged with fomenting disorder. The Romans discouraged disorder with violent forms of torture and execution like crucifixion. Nevertheless, in the presence of Roman power and defiance of it, the Holy Spirit empowers Peter to call Jesus the Christ, the Messiah. In Peter’s confession, we see the nature of a calling from God. A calling is not to be denied. It is not to be intimidated; it is inexorable. A calling from God will use whatever unlikely people and circumstances to express itself, to reveal its truths to humanity. It especially works in the people who are open to receive it and view life and the world from another perspective to remake it according to God’s values of love, justice and mercy. Such people are courageous. Even the Romans have to admire the courage of such people who speak and act in support of ideas for which they were willing to die. A church father noted that the church is built on the blood of the martyrs. The martyrs were people like Peter inspired by the Spirit to declare Jesus as the Christ, to declare that he is a better way to live. He is the source of the abundant life. Martyrs have the courage to stand in the corridors of power and declare that Jesus is the Christ. Jesus as the Christ proffers a different understanding of power. After Peter is empowered to make the great confession that Jesus is the Christ, Jesus begins to teach what kind of messiah he would be. He would be a different messiah than the one generally understood by the people in his day. He would be a different messiah because he would use power differently. He would not exploit people to bolster an earthly kingdom, which always ensues from a bloodily use of power. Rome uses power to dehumanize people and enslave them. Rome uses power to steal wealth and human potential from vulnerable people. This is what empires do. The Assyrians, the first empire of the ancient Near East, toppled Israel in 722 B.C.E. with their scorched-earth policy. After the Assyrians, the Babylonians carted off with the talent and wealth of Jerusalem in the 6th century B.C.E. The Persians became ascendant and displaced the Babylonians as the next imperial power. They allowed the Jews to return to their homeland. Some returned; most stayed in Babylon, however. The ones who returned to Judah rebuilt the temple with Iranian money. The Persian policy of funding subjugated peoples to build up their religious institutions was not done out of the goodness of the Persians’ heart. This was part and parcel of an ideology that proved more effective and less costly at controlling subjugated peoples than with troops. The Greeks toppled the Persians and became the imperial world power. Under Antiochus IV in the second century B.C.E. the Greeks sponsored state terrorism, whose intent was to totally destroy the Jewish people. The Roman Empire of Jesus’ day was the latest avatar of abusive power that dehumanized Jewish people, long familiar with the feeling of being in the crosshairs of abusive power. Jesus as messiah stands against this use of power. He teaches his disciples that potentates of the world lord over others with power. The disciples of Jesus were not to mimic such abuse of power. Jesus’ disciples were to use power to serve people, to thereby empower others to reach their potential as humans. On Maundy Thursday, Jesus gives a telling example of his understanding of power when he washes his disciples’ feet. So, they were to use their power to serve and empower others. In the process of serving, you transform others and yourself. Your Selma moment is when you are impelled to serve, to use power in a transformative way like Jesus. In so doing, you are invited to transform and be transformed. There is nothing more offensive than when religious people use power to hurt and to maim. When Dr. King called for religious leaders to come to Selma in support of voters’ rights legislation, he touched their consciences. Many responded, because they knew the sins of the church. They knew historically how power was used to dehumanize and the church was witting or unwitting accomplices in support of a dehumanizing status quo. Many understood that King confronted them with their own Selma moment, a call to go speak, transform and be transformed as a way to redeem the sins of the past. Yet, there were many religious leaders who could not see God’s hand in the Civil Rights Movement. For them, Selma was not a transformative moment. They were quite content with the status quo, because they and their people were not being hurt. So, some took refuge in a two-kingdom theology that proved merely to be a hovel of the cowardly. They thought that by ignoring Selma they were being faithful to their theological values and commitments expressed in their presumed two-kingdom theory when it was really their cultural isolation and separatism that informed their failure to respond to Selma. I shall never forget that on the weekend that Dr. Martin Luther King was assassinated, my beloved pastor who confirmed me at the age 14 never mentioned the death of King. There was no prayer offered up in behalf of the civil rights leader. It was as though that tragic event never happened and had no relevance whatsoever for his congregation. For the many quietistic pastors who saw the Civil Rights Movement merely as a political phenomenon, there were many others who saw more. My childhood Episcopalian priest, Father Nale, had the eyes to see more in the Civil Rights Movement than what was apparent on the surface. 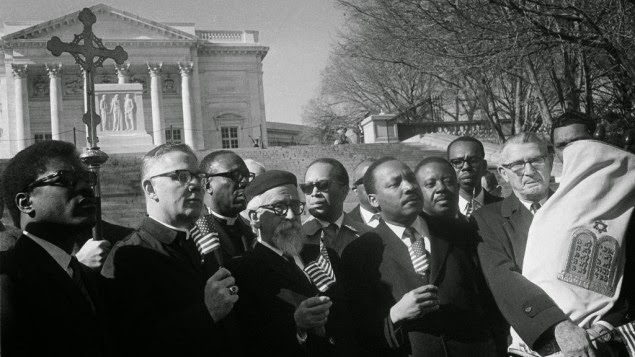 He heard King’s call to religious leaders to come to Selma and march. Father Nale left his parish in the heart of South Central Los Angeles to heed King’s call. He marched with King. It was his Selma moment to transform and to be transformed through a bold confession that power can be used to serve and heal. Our Selma moments arise when we come to the realization that our own power can be used to transform others and ourselves in service to them; this is a use of power in service of redemptive love. Where power serves redemptive love, profound reversals of the status quo occur. The preeminent reversal of the status quo is that of the sinner to saint in the experience of the forgiveness of sins. A reversal occurs when we pray for our enemies and those who spitefully abuse us. A reversal of the status quo occurs when we choose to forgive others. Our hearts get freed of bitterness and rancor. A profound reversal of your personal status quo occurs when you practice contemplation. Contemplation makes you adept at not tying yourself to the ideologies of this world, as you learn to let go of all thoughts and feelings and thereby refuse to give them more value than they ought to have. Thoughts generated by mindlessness should never be given value. Most thoughts have their nativity in mindlessness, when we are not focused. Redemptive love that serves is never mindless. For, redemptive love is an exertion of your conscious self to express such love, as it is not natural to love in this way. To love redemptively demands your attention, your mindfulness. The ego has another way to love that is turned inward to serve itself. Contrary to the ego’s love, you consciously exert your will to choose to love redemptively as Jesus teaches. It takes courage and volitional power to demonstrate redemptive love that reverses your limited worldview, your personal status quo, which is the home of the ego. Contemplation is the daily practice of expanding that status quo, pushing it out beyond the parameters of its theological justifications and rationalizations. Theology can serve the oppressor as well as the oppressed. The key issue is whether theology serves redemptive love. Your Selma moment is the invitation to go beyond the power games of the ego to a redemptive love that elicits you to serve and thereby experience transformation. Your Selma compels you to use power to serve and to love in a redemptive way.